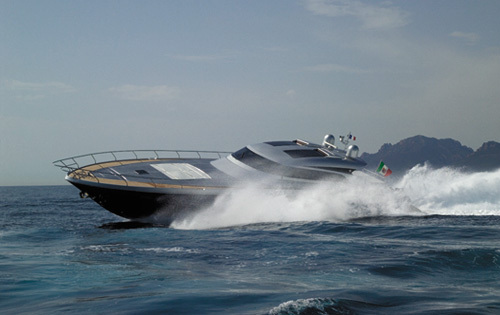 Motor yacht K BLU is a 25.6 Meter (84 Feet) Continental 80 yacht built by CNM in 2007 featuring naval architecture by Ascenzi. 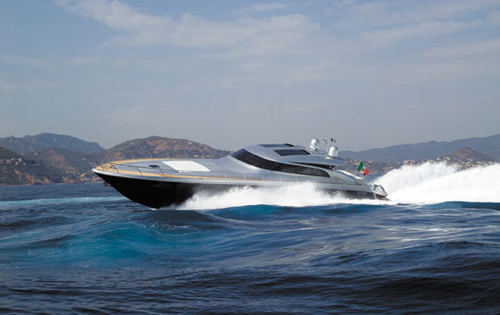 M/Y K BLU is able to accommodate up to 8 guests in 4 ensuite cabins and charters throughout the Western Mediterranean. 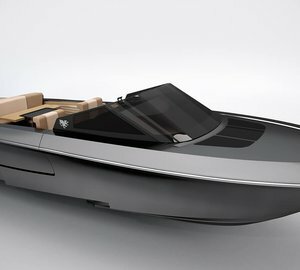 The concept of the 25,60m “super open” K BLU is a blend of a modern-classical motor yacht with simple and clear spaces with a minimalist elegant design. 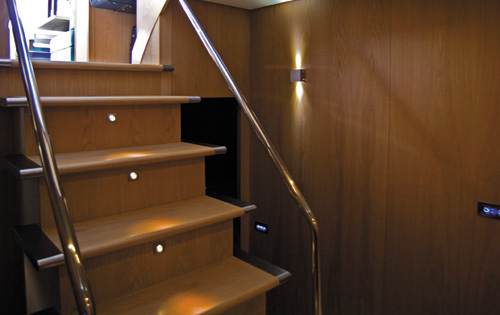 The K BLU motor yacht features light wood for the bulkheads and white pearled for the furniture, leather and light wood for the floors, which all contribute to a welcoming luminous environment. 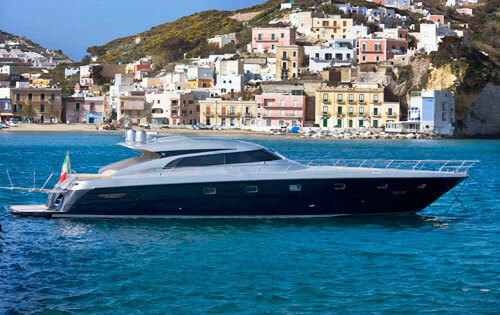 The Continental 80 motor yacht K BLU is a comfortable fast cruising yacht that unites harmony and class with the acceleration reaching up to 46 knots. The exclusive floating floor system guarantees zero vibrations. 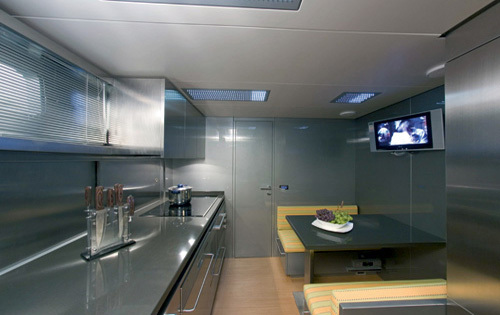 Other special features of M/Y K BLU is her hard top that fully opens electrically, her salon separated from the cockpit by a crystal door and the aeronautical inspired command post that provides excellent control. 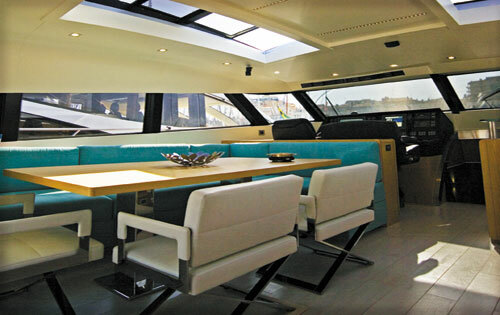 The luxury yacht K BLU is able to accommodate 7 to 8 guests in 4 ensuite cabins. 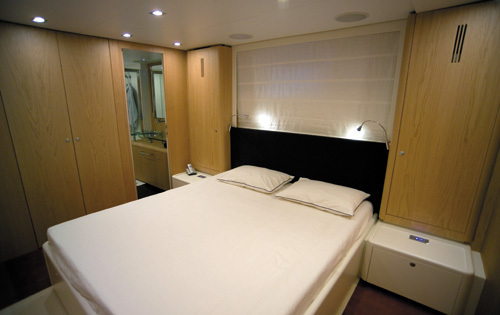 The Master suite and the VIP cabin have interior furnishings with cherry oak. 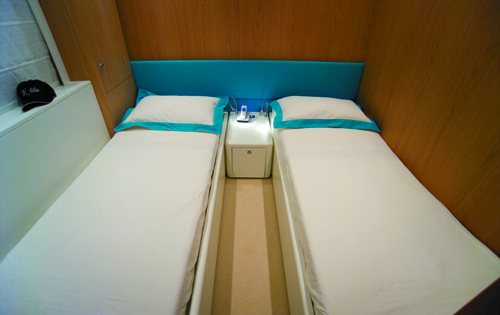 The two guest cabins have one a French bed with a pulman bed on top and the other one has twin beds. All cabins have shower boxes except one. 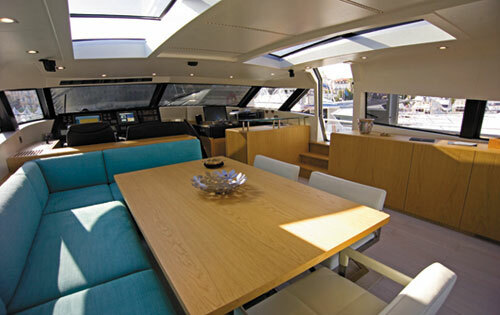 K BLU has a wide cockpit with an alfresco dining table for 8 and a nice large sun mattress. There is an elegant black light sun tent that can be used on the aft to expand the shaded area. 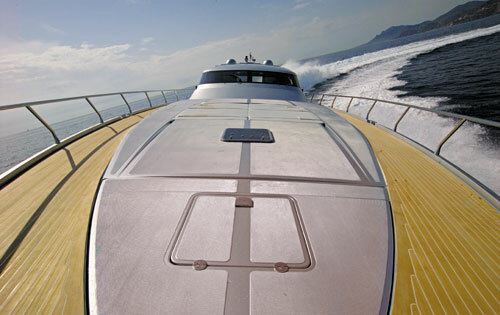 There is another sun lover’s area on the foredeck and a large swim platform aft for easy access to the sea. 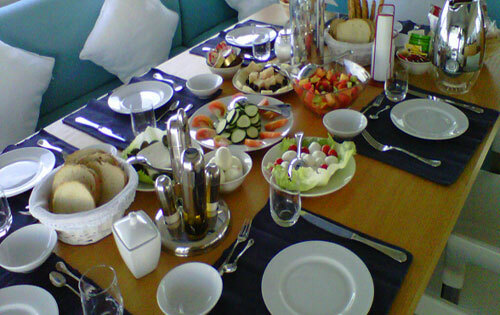 M/Y K BLU has a professional crew of 3 ready to welcome you onboard. 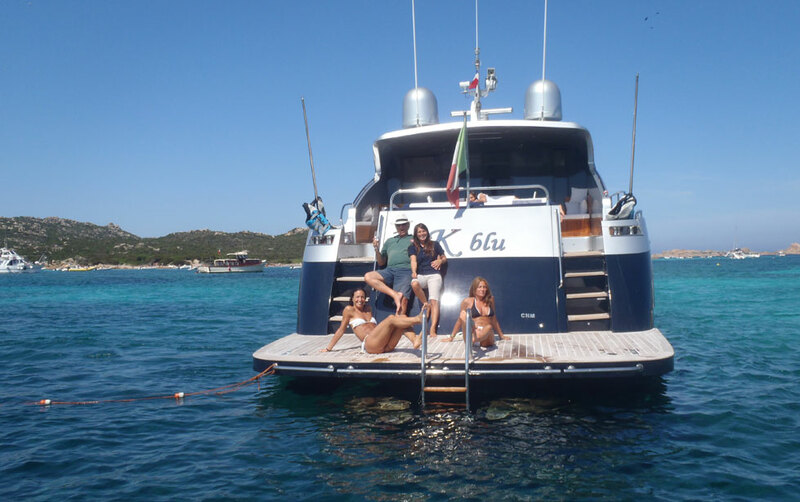 K BLU’s home is in Porto Romano, close to Rome and to the trendy and colourful Pontine Islands (Ponza, Palmarola, Ventotene are very near). It is possible to consider itineraries and departures from Tuscan Archipelago, Naples, Capri, Ischia, Sardinia or itineraries in Sicily (Aeolian Islands) according to previous bookings. Delivery fees may be requested by the Owner. 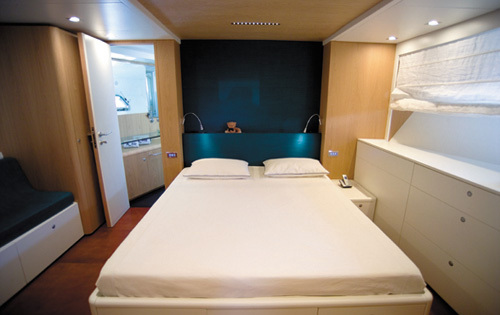 K BLU can host up to 7/8 guests in 4 en-suite cabins. Her Master cabin has a queen size bed and a sofa, the Vip cabin has a queen size bed, there is a Twin can and a single cabin with a french bed with convertible pullman bed. 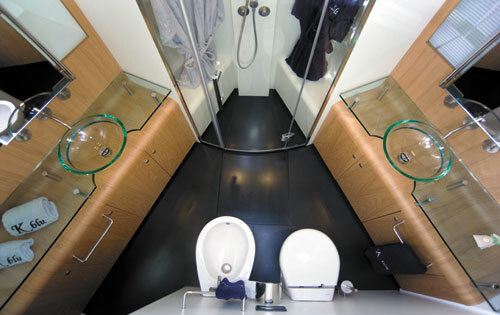 All cabins have en suite facilities have shower box except the single cabin with pullman which has shower with no shower box. Al basins are in glass. Master en suite has double basin and a very large and comfortable shower box. 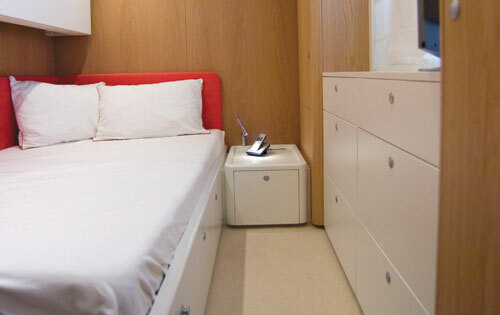 All cabins have flat TV with Sky decoder and iPod station.